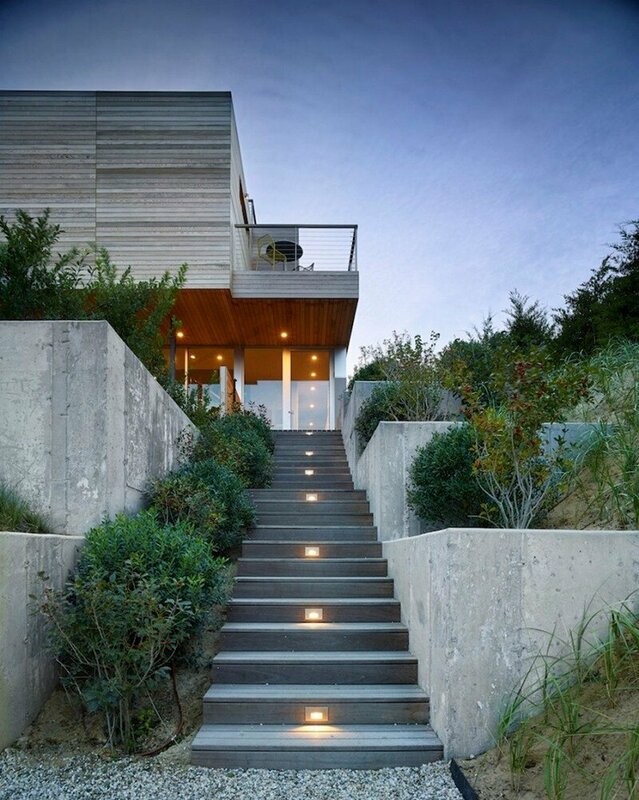 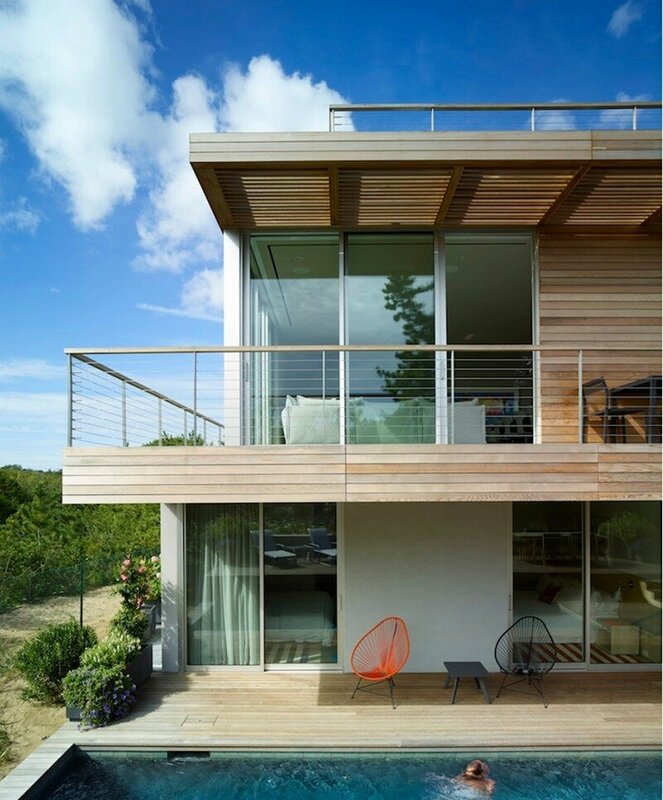 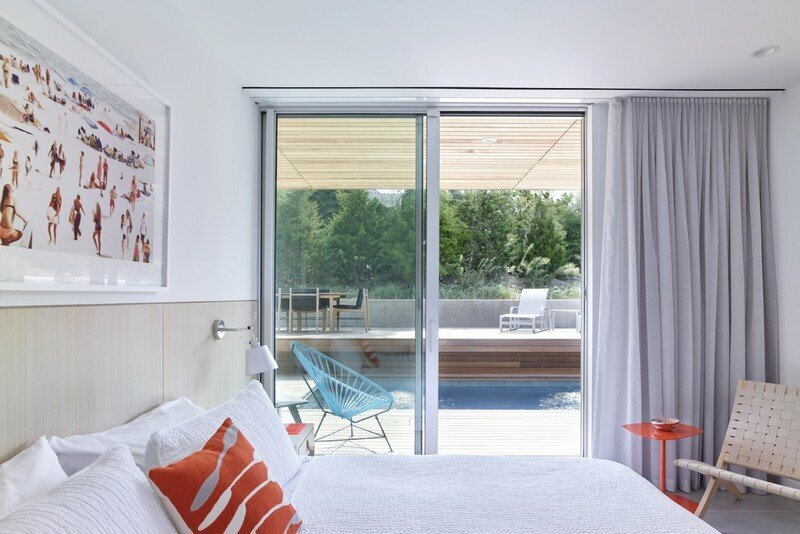 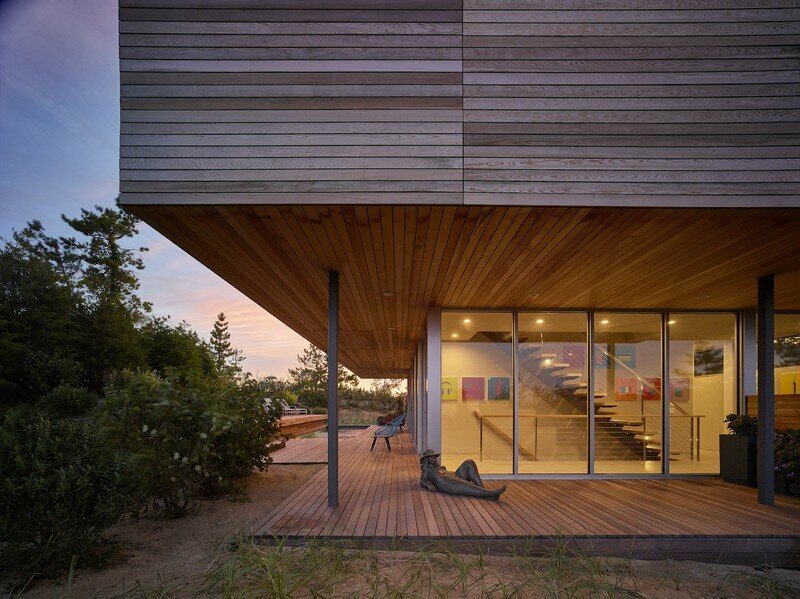 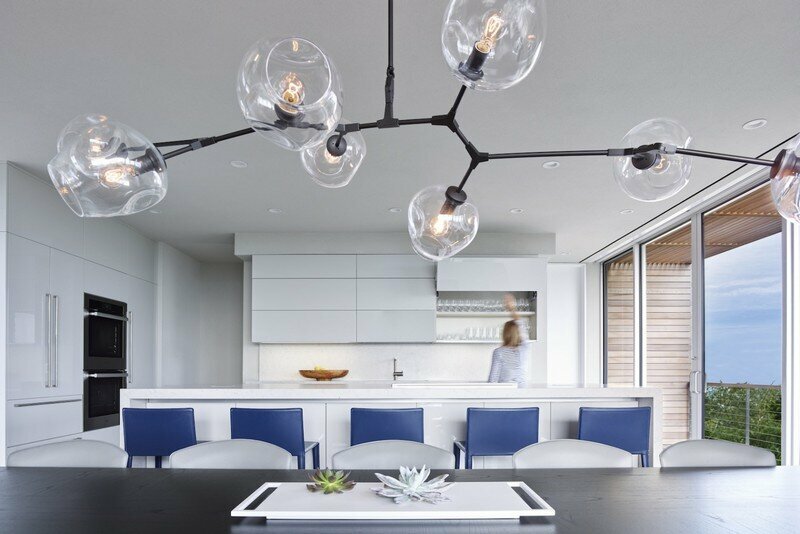 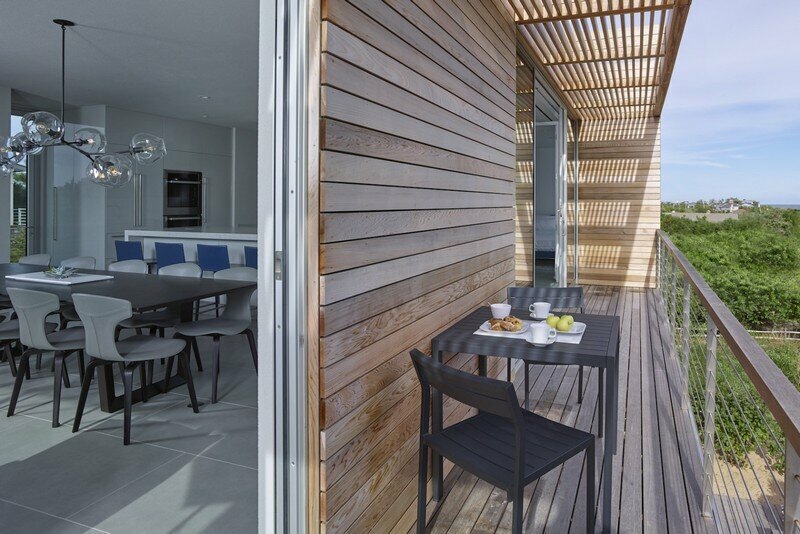 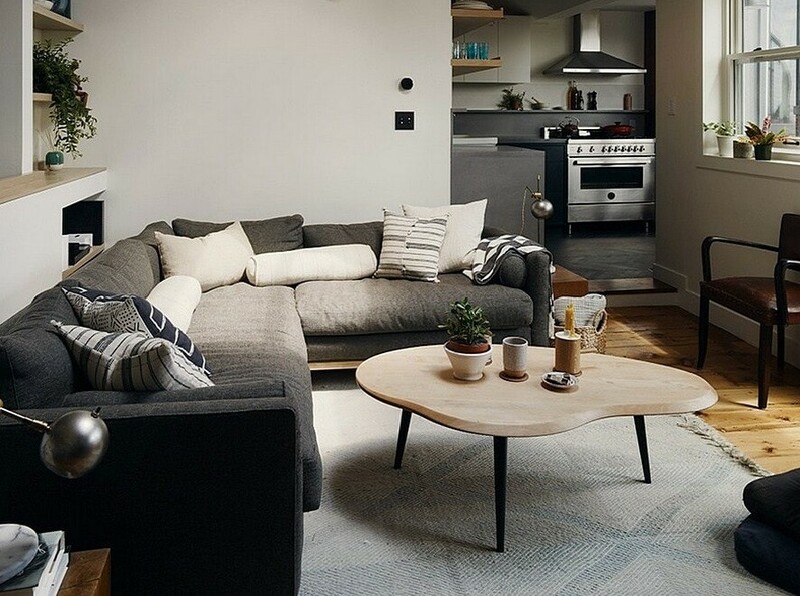 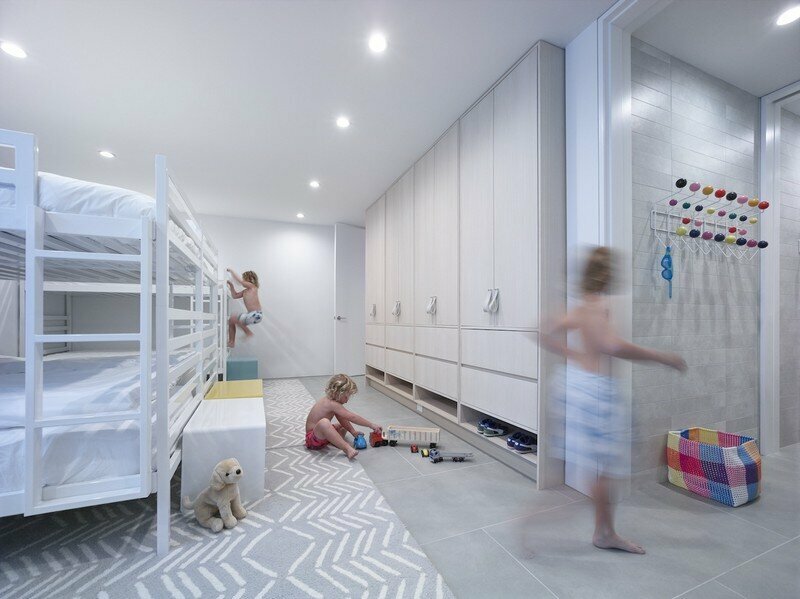 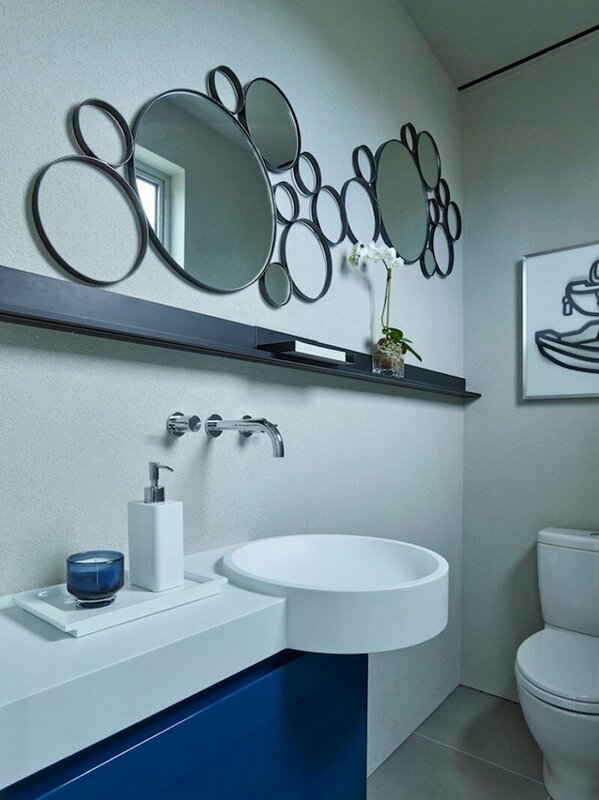 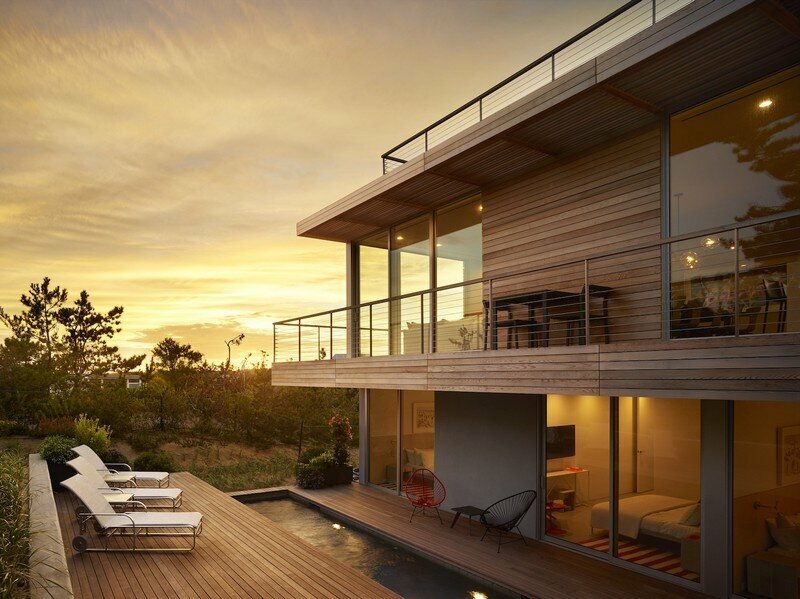 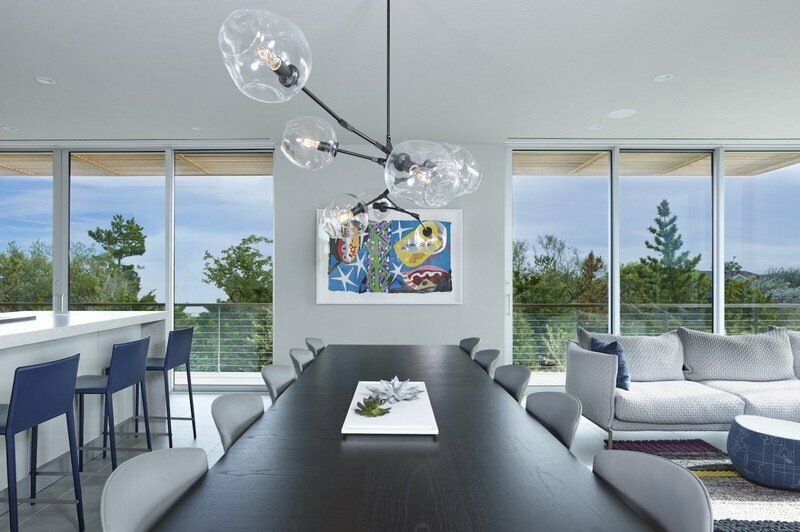 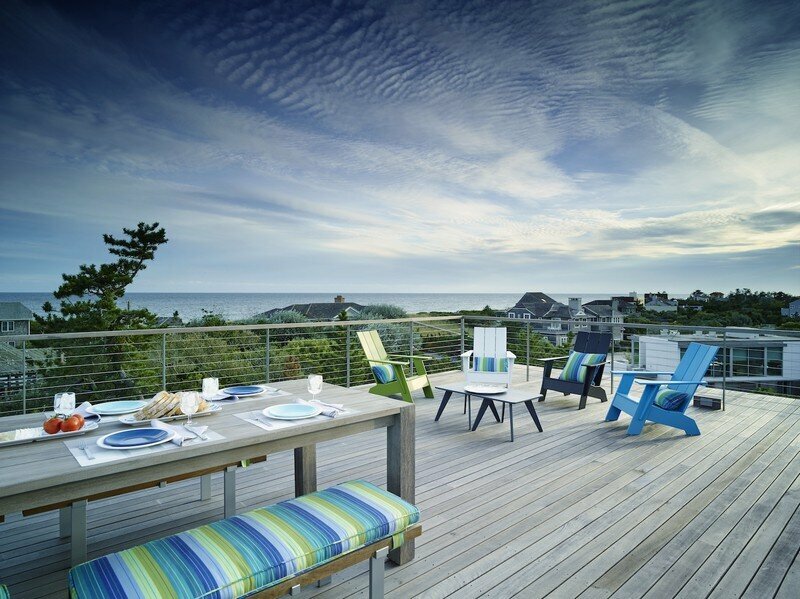 Located in Amagansett, NY, Mako House is a family home designed by Stelle Lomont Rouhani Architects. 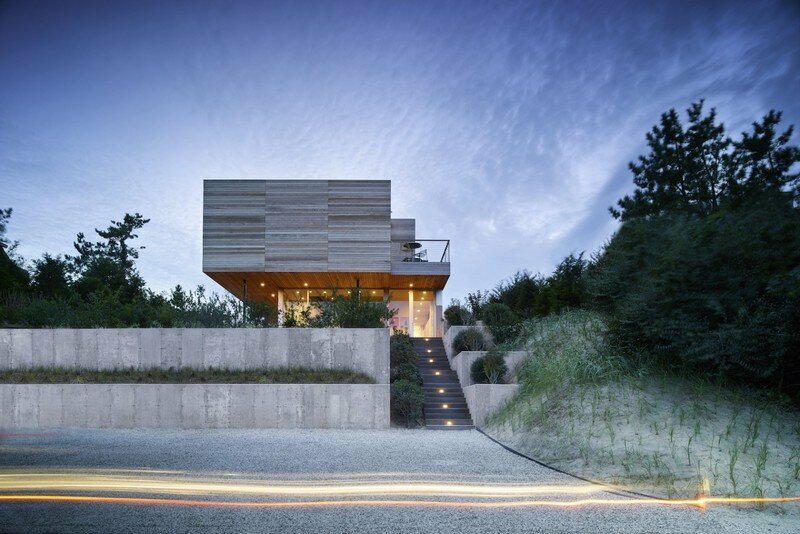 A sensitive dune and steep topography define the possibilities for this multi-generational house. 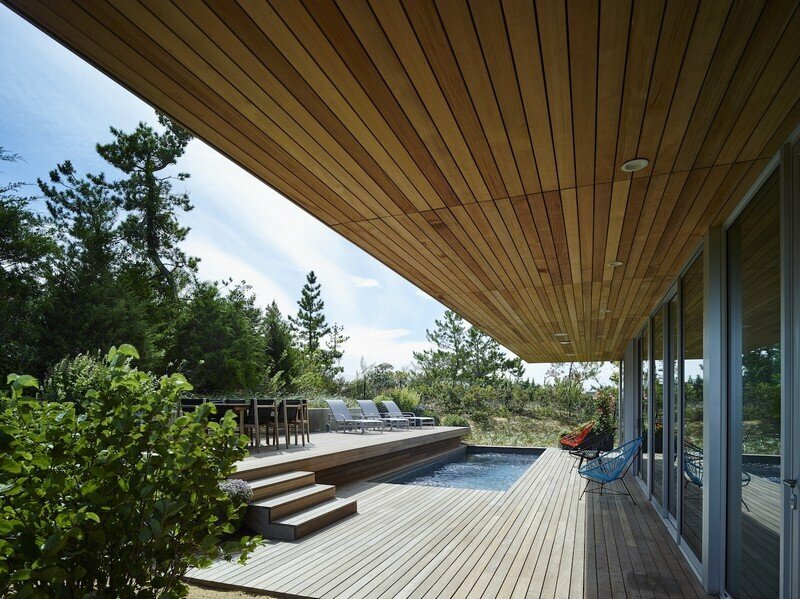 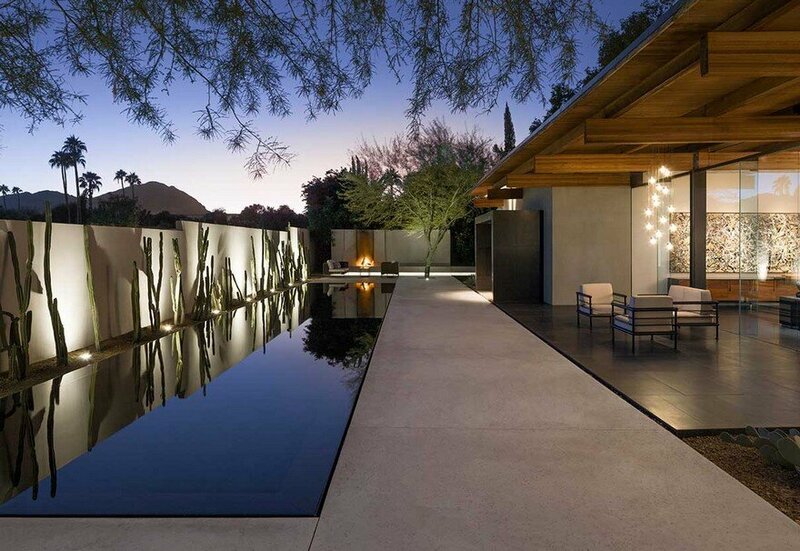 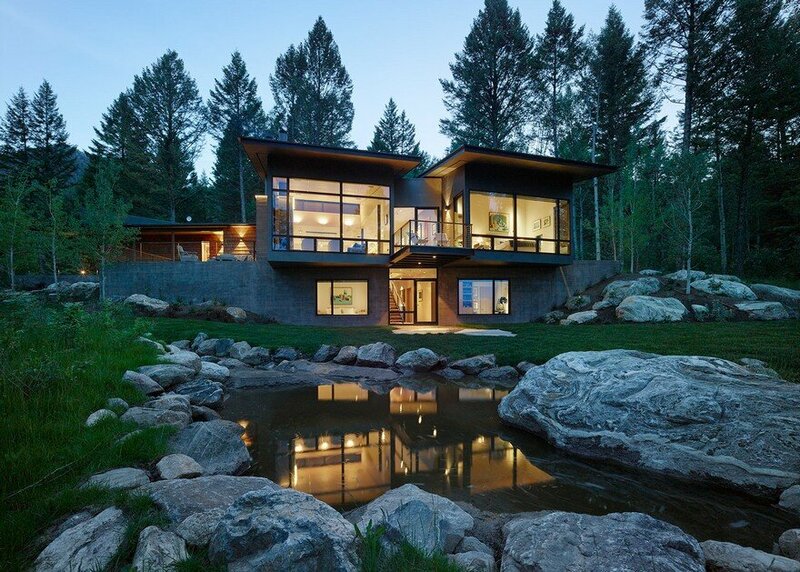 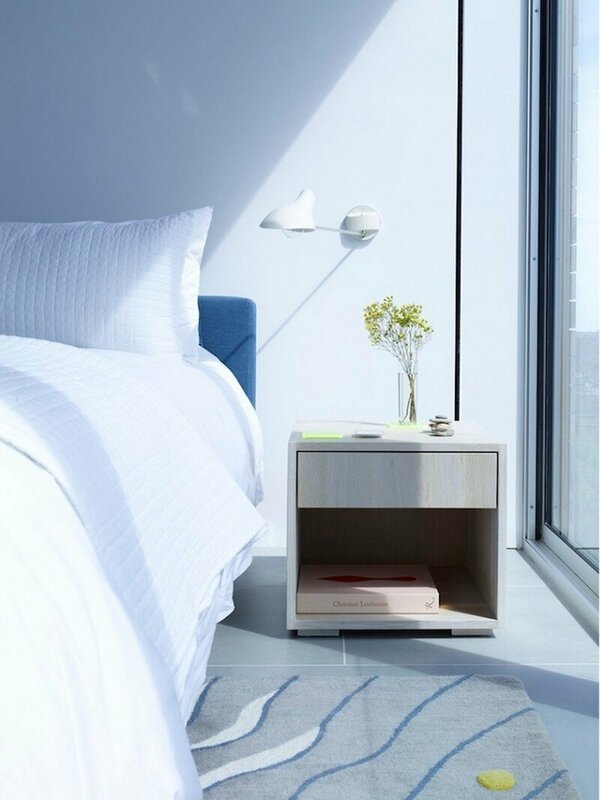 Taking cues from both, privacy and views are established with recreation in mind. 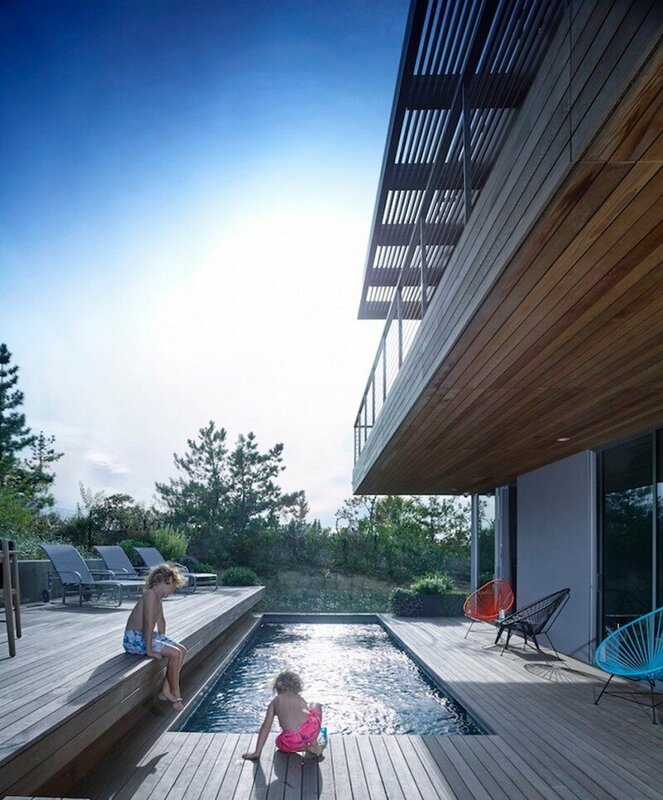 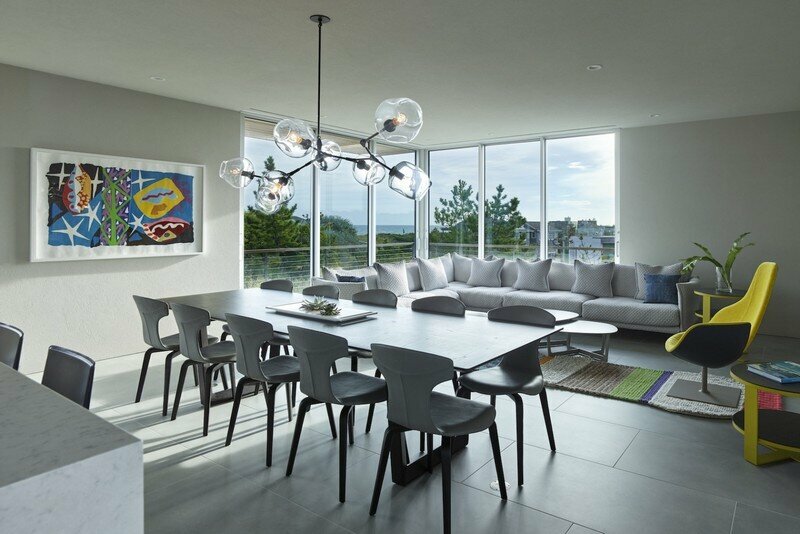 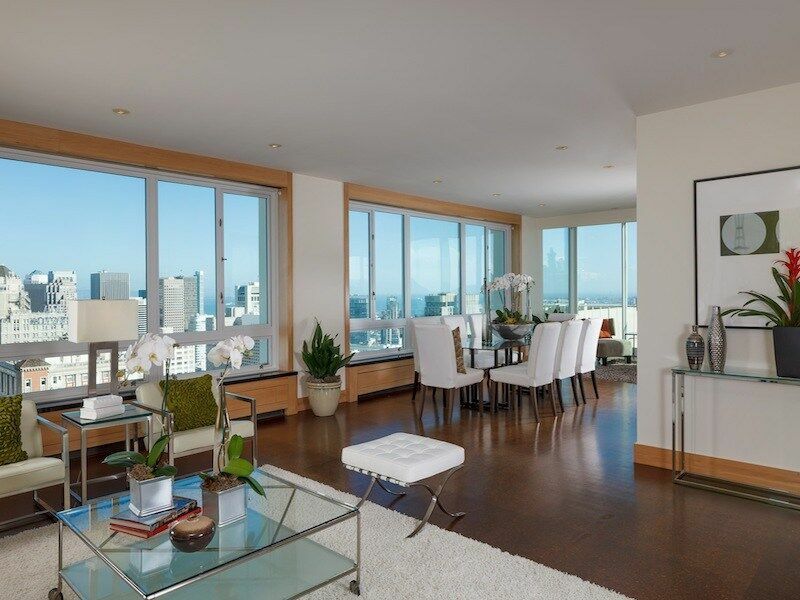 While children occupy the lower level, guest suites open up to the pool on the main floor above, leaving the upper level and roof deck with open views and plenty of space for entertaining.